Ganley Toyota invites new car shoppers to tour and test drive the 2018 Toyota Yaris iA at our dealership in Akron, OH. The latest Yaris iA sedan boasts sleek styling and high-tech cabin features at a highly affordable price! This sporty sedan boasts a starting MSRP* of $15,950, which includes an impressive list of standard amenities for you and your passengers to enjoy. In fact, the 2018 Yaris iA comes so well-equipped that it is offered in just one trim level! Every 2018 Yaris iA gets key features like remote keyless entry with Push Button Start, an integrated backup camera and split-folding rear seats, all of which add convenience to your drive! Of course, Toyota offers a wide-ranging selection of options and accessories to make your 2018 Yaris iA even more of an unforgettable ride, so contact the Ganley Toyota sales associates today to learn more! We welcome car buyers near Cleveland and Brunswick, Ohio for an informative tour and to test drive the new Yaris iA at our dealership in Akron, OH. When you are ready to take home a new Toyota like the 2018 Yaris iA, stop by Ganley Toyota in Akron, Ohio. 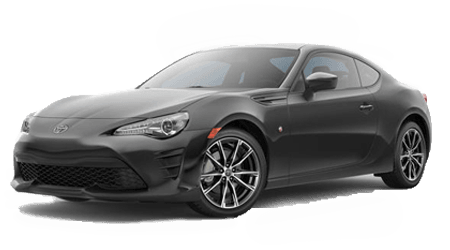 Our dealership proudly serves drivers and car buyers near Cleveland and Brunswick, OH with an extensive inventory of the latest Toyota models for sale, along with pre-owned Toyota and used cars at low prices. As the Akron, OH area's full-service Toyota dealer, we invite you to visit long after your new Toyota purchase or lease to experience our continued service via our Toyota mechanics and parts department. Shop our website now to get pre-qualified for an auto loan, or talk to our sales and finance team about your purchase or lease options. The team here at Ganley Toyota looks forward to seeing your drive off in a new Toyota like the 2018 Yaris iA -- and visiting us again for routine maintenance, genuine Toyota parts and all of your automotive needs!